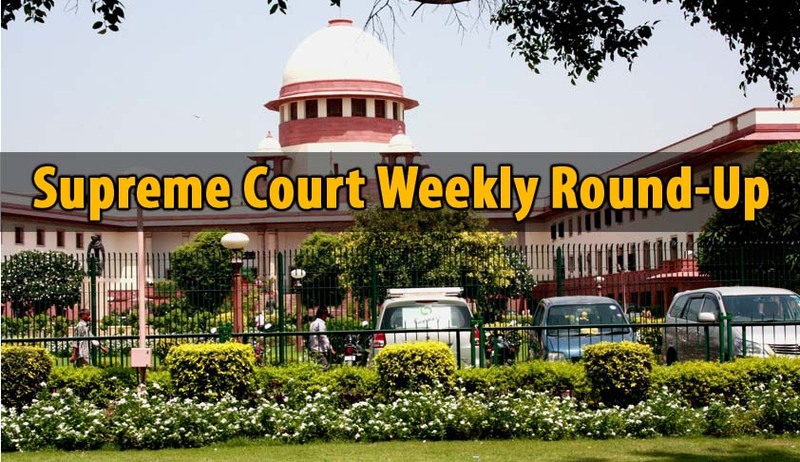 In relief to widow of a CRPF constable who had remarried, the Apex Court asked the authorities to restore the family pension to her, which was stopped pursuant to the High Court order in a Writ petition in which she was not a party. Supreme Court of India on Tuesday refused to entertain a Petition seeking CBI investigation in to Mathura violence in which 29 people were killed. A Two Judge vacation Bench comprising of Justices P C Ghose and Amitava Roy has asked the Petitioner- BJP leader Ashwini Upadhyay to approach the Allahabad High Court. Supreme Court of India stayed the Bar Council of India’s withdrawal of Exemption granted to ‘Advocates on Record’ from filing forms under Certificate and Place of Practice (Verification) Rules 2015.